The times, they are a changin’. As Apple CEO Tim Cook deals with demands from the U.S. government for software that provides backdoor access to the phone of the 2015 San Bernardino attack shooter, the rest of the country waits to see what the end result will be. The standards of technology continue to grow faster than anyone can comprehend, and, as a result, the implications of that technology continue to go in a variety of directions. While the home computer owner may have once been able to build and even repair their own systems, the risks of canceling factory warranties by doing their own work may make these personal fixes less common. As a result, more and more small to medium electronic manufacturing and repair businesses are seeing opportunities to expand their licensed electronics and computer repair offerings. These Tier I and Tier II electronic manufacturers are looking for a supply chain partner that can help them find reliable circuit board suppliers, necessitating the need for printed circuit board suppliers to provide instant access and immediate shipping to their customers across the country. The best circuit board suppliers also have an informed and knowledgeable staff that can help their customers understand both policy and practice, as well as help customers make informed decisions about their design needs. 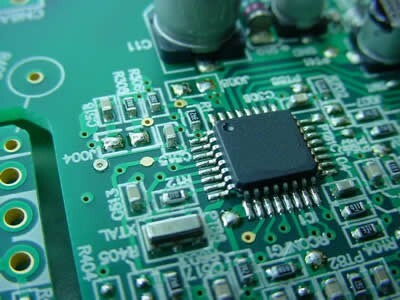 Also important, the best circuit board suppliers can provide instant PCB quotes for prices and all available options, whether the customer is looking for flexible printed circuit boards or the standard hard board design. Finding the best distributor who has taken time to locate the best wholesalers with the best products is key to the success of these companies. The causes of PCB failure is most often associated with one of two factors: performance problems caused by environmental stresses, or performance problems created at the design and manufacturing stage of the board’s production. While no small electronic manufacturer can investigate the integrity of all suppliers, especially if they are overseas, a supply chain distributor can. In fact, these larger suppliers are often the best resource. Creating a delivery and inventory system that makes certain that their customers do not have to deal with wire transfers, customs, importing, shipping, and logistics, the best circuit board suppliers allow customers to focus on their small or medium piece of the technology market. Acting as a supplier of custom fabricated electronics so that customers can create their own products for other companies is the real goal of the best circuit board suppliers. The manufacturing process of created printed circuit boards is a complex task. As a result, several opportunities to accidentally introduce a defect into the product exist. If, for instance, two metal traces are not accurately insulated from each other on a high-voltage board, an arc can occur. This arc can both char the board and destroy the entire circuit. The selection of products in this industry is enormous. In fact, just two years ago in 2014 the circuit board and electronic component manufacturing revenue in America reached nearly $44 billion. The most profitable small and medium size electronics manufacturers are making sure that their portion of this number is being spent on the best products available.